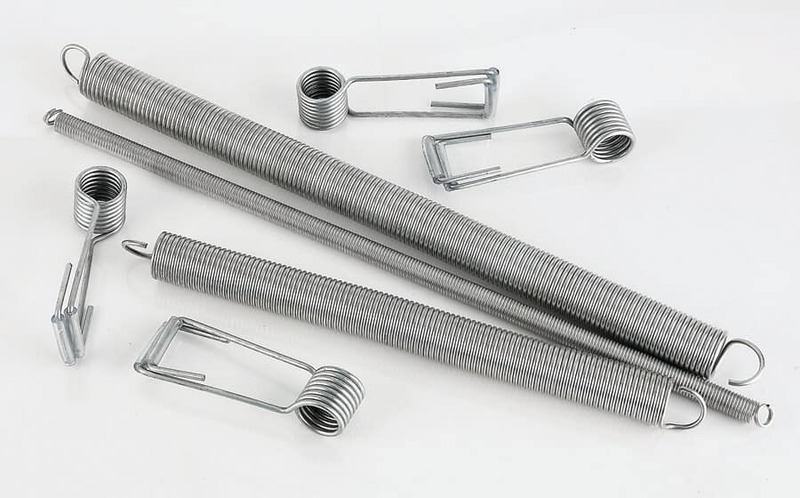 Gardner Screen Door Springs may be used as replacement springs for interior or exterior screen doors and other lightweight doors. These parts are also used to assist with the closing of interior warehouse doors. GSD-8 is designed for exterior or interior gates. GS-210 and GS-310 have adjustable lengths. Drawbars allow compression springs to function as extension springs, preventing hyper-extension while enabling springs to be securely attached to load sources and anchors, eliminating the possibility of slip-off during loading or use. Available in Zinc Plated MNHD and 301 Stainless Steel.